Retirement Accounts – One of the most important deductions you can use is your contributions to your retirement account. This year, you can deduct contributions made through April 18 (the deadline for tax returns in 2017). Those who are under the age of 50 can contribute $5,500 to their IRAs and those over age 50 can contribute $6,500. This is a significant deduction that should not be ignored. Education Credit – You can reduce the amount of tax you owe while qualifying for a bigger refund by taking advantage of a $2,500 credit for educational purposes. Since the passage of the American Taxpayer Relief Act of 2012, these credits apply not only for schooling but also for books, fees and other associated expenses. These credits no longer need to be paid directly to the school and for those who have a lower tax burden, this credit can increase your refund by as much as $1,000. Earned Income Tax Credit – This credit is perhaps one of the most overlooked credits when filing tax returns. Married people and single people are often eligible for this credit which reduces your overall tax liability and can result in a higher refund. Singles with no children who earned less than $14,820 and married couples who earned less than $20,330 may be eligible for this credit. Job-Related Expenses – Whether you are single or married, if you moved for job-related reasons including finding a new job, you may be able to deduct all expenses associated with moving. Keep in mind, you may also be able to deduct other expenses associated with job-hunting including mileage and other similar deductions. Interest Payments – If you have a current home mortgage and made your January 2017 payment in December 2016, you can deduct another month’s worth of interest payments on your 2017 tax return. Make sure this deduction is “worth” the added expense before you make this step. Medical Expenses – If you had significant medical or dental expenses that you paid before December 31 2016, this can help reduce your overall tax burden. This could be particularly important if you have a high deductible to meet in 2017; your out-of-pocket expenses could be reduced by having the work done before the new year begins. Tax Forms – In addition to your tax forms from your employer, or 1099 forms if you are self-employed, you should also try to bring your last tax return with you. Your most recent tax filings can help your accountant determine if you missed any credits with your prior years filing which could be beneficial. Retirement Account Information – Your accountant can help review your current IRA deposits and help you determine if you should make additional contributions. If you are one of the millions of people who have pretax contributions to a 401(k) plan, you can reduce your taxable income and your retirement savings by increasing your contribution for 2017. Receipts – If you have worked at home part of the year there may be credits you can take on both state and federal tax returns that can not only maximize your refund but reduce your taxable income. Home office deductions can be used by those who are self-employed and those who have a regular employer who allows them to work at home part of the time. 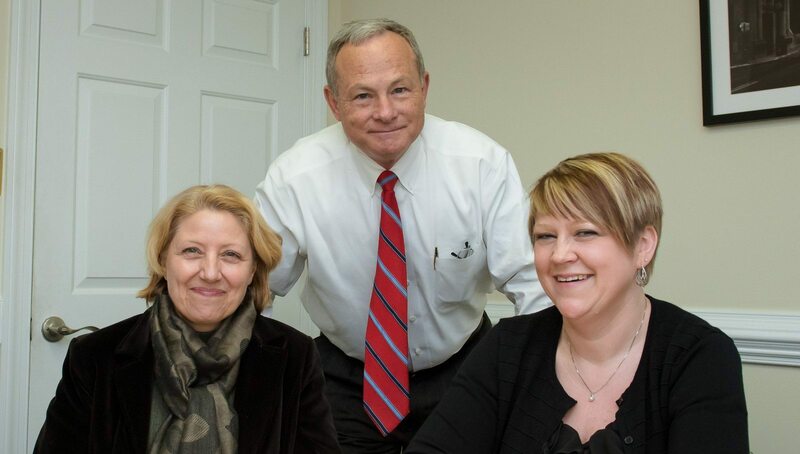 The tax experts at Rue & Associates are here for all of your tax preparation needs. We strive to make tax time less stressful for individuals and businesses. Please contact us for assistance in filing your tax returns today.